Research has shown that college students often face challenges and stressors that may lead to depression, anxiety, and other psychological and/or behavioral problems. It may be essential to examine whether trait characteristics predict depression. Thus, the purpose of the present study is to assess the relationships among depression, optimism, and personality. 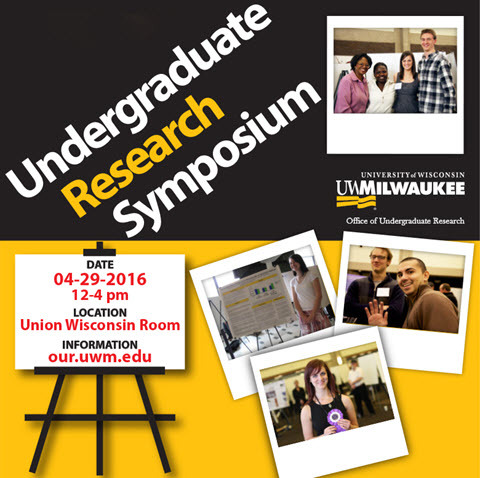 Data from 320 UWM college students (MAge = 21.78, SDAge = 5.07) were collected through online questionnaires. The Depression Anxiety Stress Scale-21 (DASS-21) was used to indicate participants’ psychological distress. Optimism was measured using the Revised Life Orientation Test (LOT-R), and personality traits were assessed using the Big Five Inventory. These self-reported data were analyzed using simultaneous multiple regression analysis. Results showed that optimism and the Big Five personality traits as a set were significantly related to depression scores, R2 = .43, F(6, 313) = 39.92, p < .001. Optimism (β = -.35, t = -6.38, p < .001), neuroticism (β = .23, t = 4.16, p < .001), agreeableness (β = -.13, t = -2.39, p = .017), and extraversion (β = -.10, t = -2.18, p = .030) had significant unique contributions in predicting depression scores; however, openness (β = .09, t = 1.92, p = .056) and conscientiousness (β = -.08, t = -1.53, p = .127) did not. Participants who scored high on the depression scale tended to be those who were less optimistic, more neurotic, less agreeable, and less outgoing. These findings may provide helpful insight for educators, policy makers, and staff in college settings.